The gluten-free lifestyle doesn’t banish you from eating sweet treats. All you have to do is leave out the gluten ingredients or find the proper substitutes. Considering the fact that flour is one of the main ingredients you have to leave out from any recipe, you can easily switch to gluten-free flours such as almond, coconut or oat, however, there are plenty of more to try! If you have the sweet tooth, then we can suggest you ten super delicious flourless cakes. Trust us, you won’t even miss the flour or even spot a difference. These cakes are very easy to prepare and most of them are ready in less than an hour! Being flourless doesn’t mean saying goodbye to all those tasty chocolate experiences. In fact, here’s a recipe that proves that flourless cakes are as equally as moisty, mouthwatering and super delicious. Our main ingredient in this recipe is the unsweetened Dutch process cocoa powder. 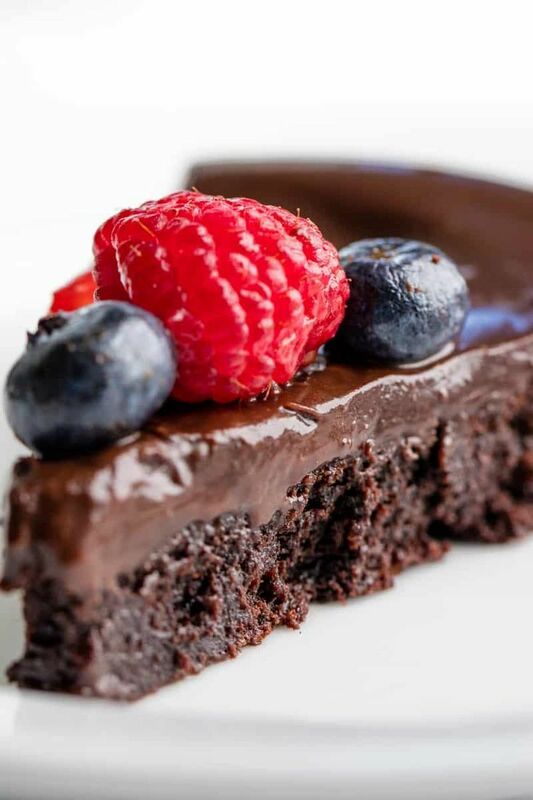 It’s all about chocolate here, so this is really the ideal dessert for chocolate lovers. You can top the cake with your favorite fruit as well. 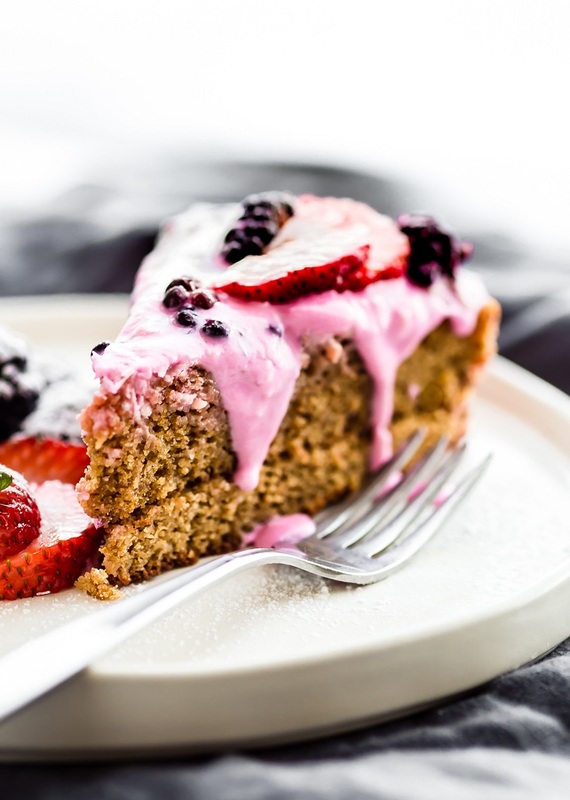 Made with almond flour, this cake offers such an amazing fruit dessert experience. The cake is moist and light, while the Greek yogurt frosting gives it such a dense taste. It’s always a nice idea to add a few toppings, and in this case adding more fruit, such as strawberries, blueberries, even sliced orange and shredded coconut is going to make this case a wonderful food experience. Orange cake with cream cheese frosting is a classic recipe, but if for any reason you’re avoiding flour, then don’t worry because there is a flourless version of this wonderful cake. Instead of flour, this recipe uses both almond and hazelnut flour. The rest of the cake is preparing the cream cheese frosting and the orange puree. Pick your favorite recipes for this and when you finish the cake, you can garnish it with mint leaves, orange slices, and almond flakes. 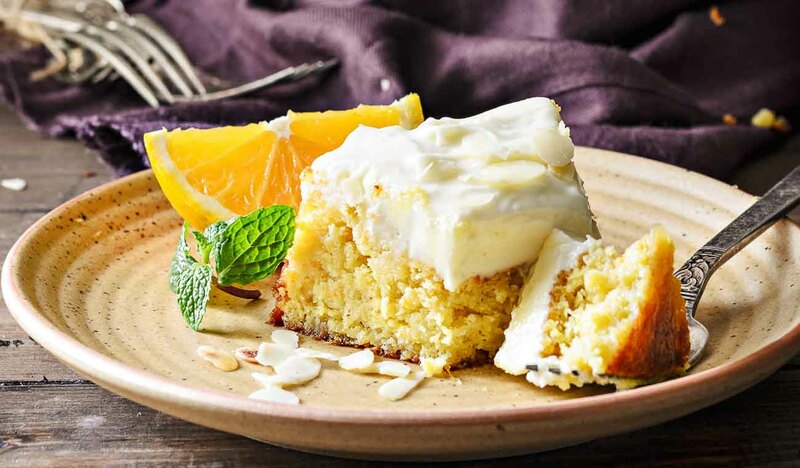 If you’re a fan of tangerines, then you definitely have to try out this cake. It’s fluffy, moist and very light. It’s really the perfect sweet treat after lunch or dinner, or let’s face it – it’s ideal for any time of the day. The main ingredient here is the tangerine puree that you can easily make at home. For a richer taste, you can also add a few tablespoons of Amaretto, if liqueurs are your thing. A slice of this case has about 260 calories. Just when you think that gluten-free desserts can’t get any better, here’s a recipe that will make you even more fall in love with the berries-and-cream type of desserts. 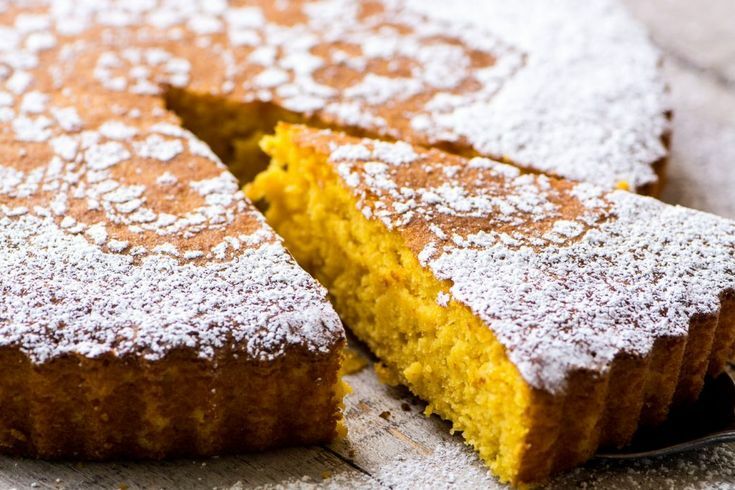 This flourless cake is mostly made out of eggs, almond flour and sugar. It’s light, moisty and fluffy, while the whipping cream gives that creamy filling we all appreciate in a cake. 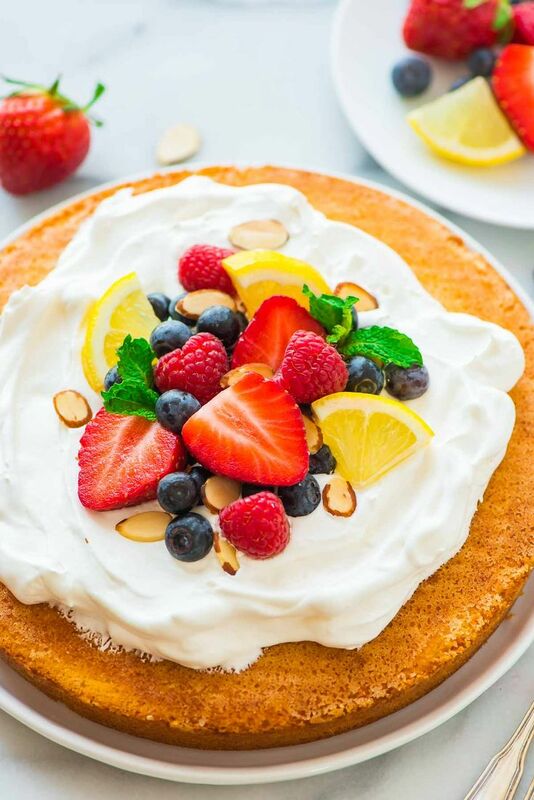 Serve the cake with sliced berries and toasted almonds. It’s truly the perfect cake for every gathering! We often overlook desserts with marmalade and always go for the chocolate ones, but these also deserve our recognition. You will be surprised at how good these marmalade treats can taste and will truly make you wonder why you haven’t tried it sooner. This recipe offers us a moist cake with the taste of Porto wine, vanilla, and almonds. 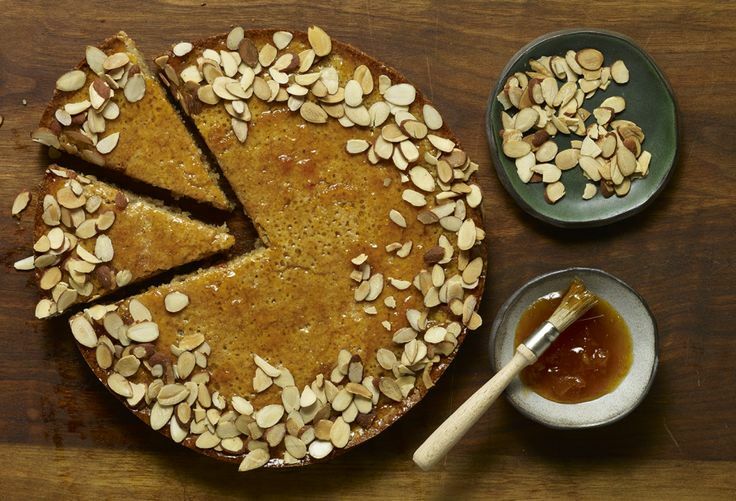 It is topped with apricot marmalade glaze and lightly toasted almond slices. Apple and cinnamon is a very known combination to all of us. It especially gets popular during the fall and in the winter, but in reality, no matter when you eat, it tastes great. 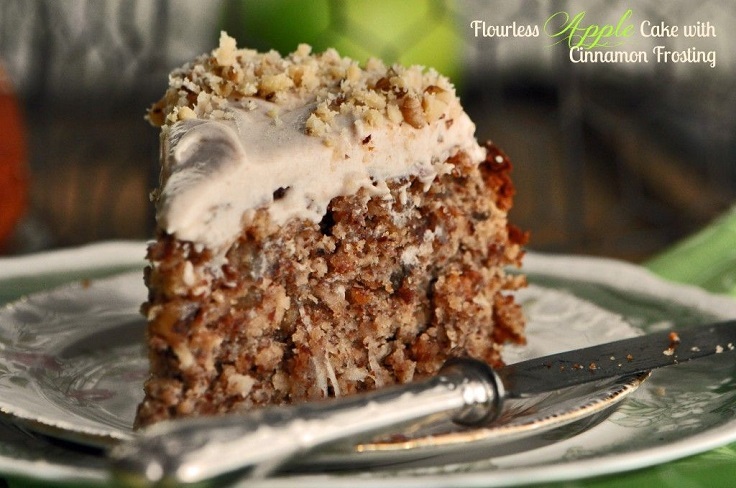 This cake contains all ingredients that we love – cinnamon, nutmeg, ginger, vanilla, walnuts, brown sugar. Instead of flour, use almond meal and shredded coconut. Use homemade cream topping made out of honey, cinnamon, sugar, cream cheese, and butter. You will love this cake! The famous Black Forest cake is all about good quality chocolate and cherries. Originally known as Schwarzwälder Kirschtorte, this cake originates from Germany and luckily it can easily adapt to a flourless version. The cake is ready in 50 minutes and is ideal for any occasion, especially gatherings. 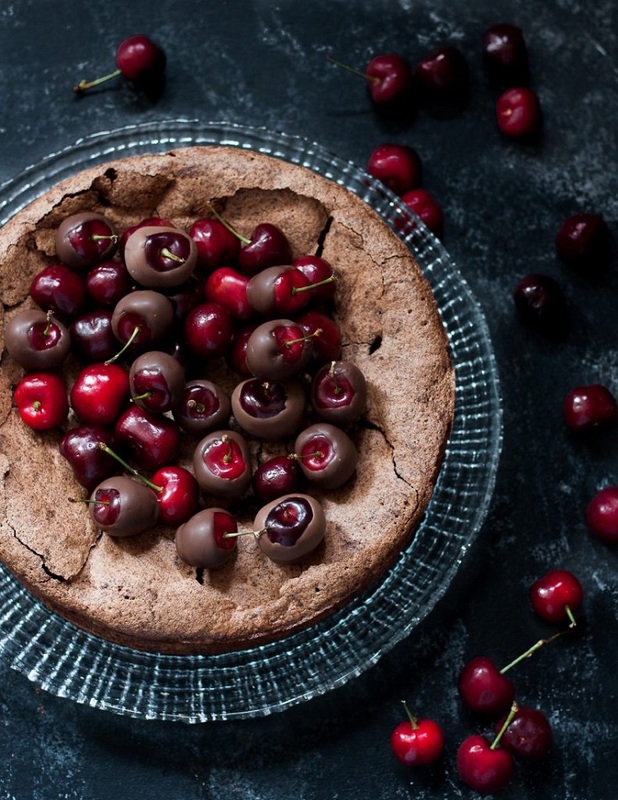 The topping is different in many Black Forest recipes, so here we have chocolate-dipped cherries and if you want to, feel free to decorate with whipped cream as well. Since we can’t get enough of chocolate, it’s fair to add some more chocolate recipes and we’re pretty sure you wouldn’t mind. This time we present you a chocolate hazelnut cake, but the star ingredient here isn’t the chocolate or the hazelnuts. It’s Ferrero Rocher! These super delicious, crunchy chocolate hazelnut balls make the cake such a delicious treat no matter the type of the occasion. 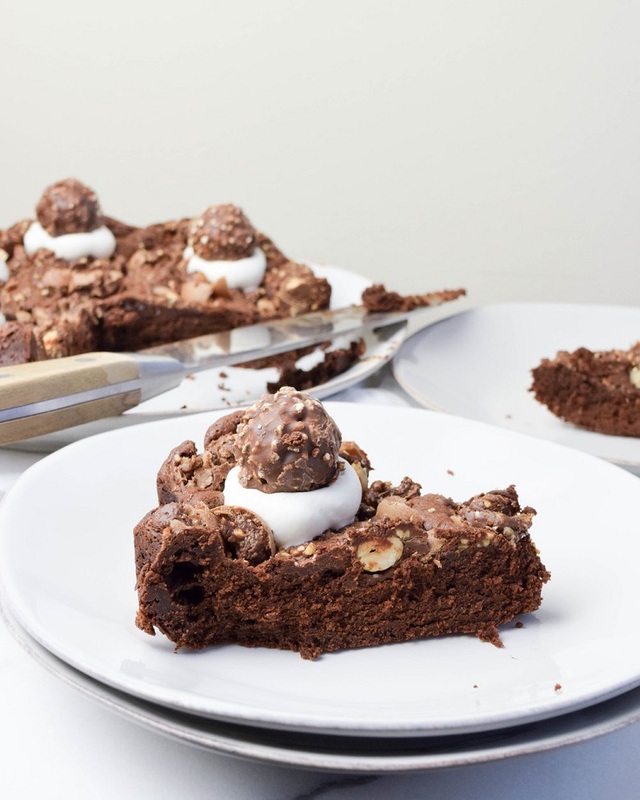 Arrange the Ferrero Rocher balls around the cake as a topping and your cake is ready to be served! This cake truly is unique. 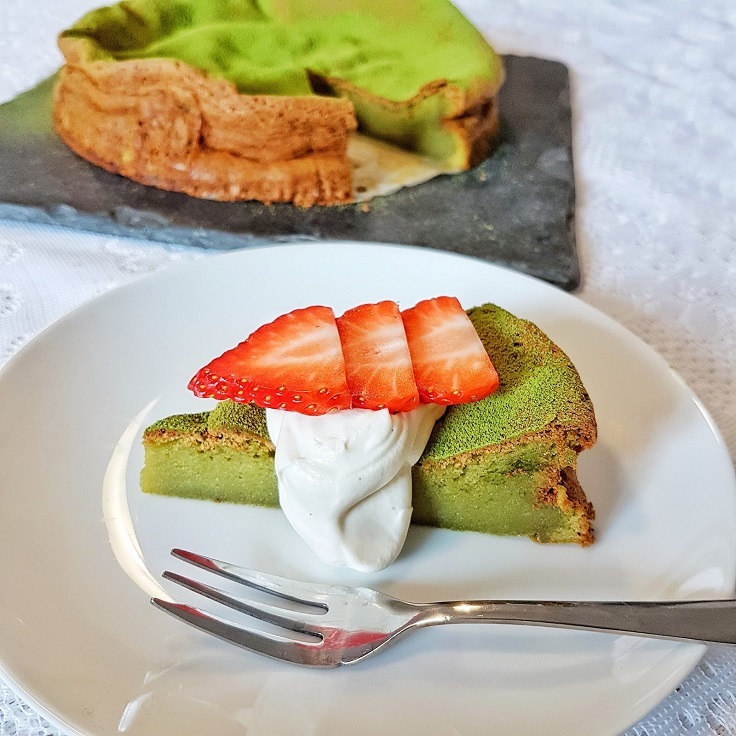 Thanks to the green color it gets from the matcha, the cake stands out from the crowd and we definitely recommended it, especially if you’re a matcha fan. The matcha isn’t just used for the cake batter, but for dusting as well. You can also use double cream and some fruit, as in this case – strawberries. Besides this, our second main ingredient is the white chocolate which matches perfectly and gives that chocolate experience we all crave for! This angel cake tastes angelic, so no wonder why it got that name! 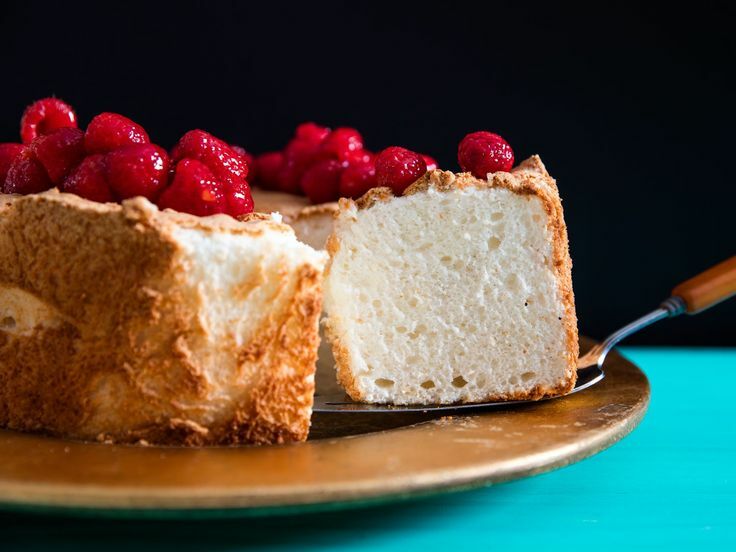 Unlike all of the flourless cakes on this list which used just one gluten-free flour, the Angel Food cake contains all tapioca, white rice, and coconut flour. It has a simple, light texture, but if you want to add more of a dense taste add fresh fruit, such as berries – they always match any dessert!